Polyethylene Terephthalate, also called PETE or PET, is a plastic resin of polyester. It is extensively used as a packaging material owing to its properties such as high versatility, strength, and recyclability. Bio-based polyethylene terephthalate is a resin manufactured from terephtalic acid and ethylene glycol, which is obtained from plants such as sugar cane and sugar beet by thermo-chemical process. Due to its environment friendly qualities, such as reduction in GHG emissions and carbon footprint, bio-based polyethylene terephthalate is widely accepted in packaging of various food and beverages and in automotive industry. Rising consumption of beverages coupled with the regulations imposed by various governments to reduce GHG emission, is one the major factors contributing to the growth of the bio-based PET market. In 2015, France adopted Green Growth and Energy Transition Law, with key objectives for GHG reduction, energy efficiency (reducing demand by 20% by 2030 and 50% by 2050), and diversification of energy supply by reducing the consumption of fossil and nuclear fuels and to accelerate the deployment of renewables. Further, the adoption of Montreal and Kyoto protocol in various countries including US, Canada and Japan among others is expected to increase the demand for low carbon emitting substitutes such as bio-based PET. 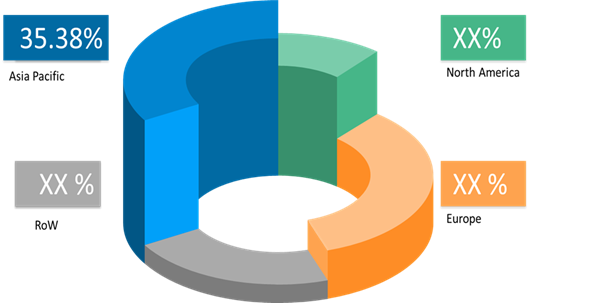 Moreover, growing demand for sustainable environment friendly and lightweight material in automotive industry is expected to boost the demand for bio-based polyethylene terephthalate market at the global level. However, availability of substitutes such as bio-based polyethylene furanoate (PEF), is a major factor hindering the growth of the market. The production cost of bio-based PEF is less than the bio-based PET. Also, PEF has a relatively long product shelf life. Owing to these factors, bio PEF is gaining popularity in packaging industry and thus, hampering growth of bio-based PET market. Based on applications, bottles segment dominated the bio-based polyethylene terephthalate market in 2016 and is expected to retain market dominance throughout the forecast period. The growing consumption of beverages in emerging economies is also aiding growth of the market. According to the Agriculture and Agri-food Canada, the consumption of alcoholic beverages in South Korea is steadily increasing since 2012, and due to the free trade agreement with U.S. (2012), and European Union (2011), there is a growing demand for whiskey and wines. In addition to this, rising popularity for sustainable packaging materials to reduce the carbon footprint are the major factors, propelling demand for bio-based PET bottles. Regular plastic does not decompose and poses significant threat to the environment, polluting land, water, and air. According to European Commission, 162.6 kg of packaging waste was generated in 2014, per inhabitant in the European Union Member States. The rising awareness regarding the plastic pollution, is expected to support the market growth of bio-based PET during the forecast period. Asia Pacific led the market in 2016 and is expected to continue its dominance throughout the forecast period. Rising support from regulating bodies to reduce greenhouse emissions is one of the major factors propelling the growth of this market. According to the Australian Government Department of the Environment and Energy, under the 2015 Paris Agreement, Australia has committed to reduce emission by encouraging technological innovations and expanding the clean energy sector. Japan is the largest market for Bio-Based PET in Asia Pacific, following its adoption of Kyoto protocol. Kyoto protocol is an international agreement and is linked to the United Nations Framework Convention on Climate Change. The protocol has a major feature of setting mandatory targets on greenhouse-gas emissions for the countries which have accepted this protocol. Furthermore, major companies such as Toyota Tsusho Corporation and Toray industries Inc. are actively supporting usage of sustainable packaging. For instance, in 2013, Toyota Tsusho Corporation had introduced a new plant derived plastic brand, under the brand name GLOBIO to promote environment friendly product development. GLOBIO, is a plant derived PET plastic and consists of bio-based monoethylene glycol. In North America, U.S. dominated the bio-based polyethylene terephthalate market in 2016. Rising initiatives to reduce greenhouse emissions and use of sustainable packaging are the major factors driving the market growth. In 2014, Canada pledged US$ 300 million to the Green Climate Fund, global fund which supports emerging economies to reduce their GHG emissions. Furthermore, the growing demand for lightweight materials in automotive industry is another major factor supporting the growth of the market at present. Bio-based PET is extensively used in the form of sheets, foams and fabrics in automotive applications owing to their lightweight and high shatter resistance properties. According to the International Organization of Motor Vehicles Manufacturers (OICA), in 2016, a total of 12,198,137 cars and commercial vehicles were produced in the U.S. The steadily growing automotive industry is also expected to support the growth of this market, owing to the rising penetration of bio-based polyethylene terephthalate in automotive industry. Leading players in the global bio-based PET market are adopting various strategies such as research and development, collaborations and new product launch to retain their market share. For instance, in 2012, Toray Industries inc. and Gevo Inc. had signed Bio-Paraxylene offtake agreement, for pilot-scale production of fully renewable, bio-based PET. The major players operating in the global bio-based polyethylene terephthalate market include, Toray Industries Inc., The Coca-Cola Company, Teijin Limited, Toyota Tsusho Corporation, Anellotech Inc., Gevo Inc., Plastipak Holdings Inc., Virent Inc., and Ford Motor Company. Bio-based polyethylene terephthalate (PET) is produced from terephthalic acid (PTA) and monoethylene glycol (MEG). Bio-based PET is gaining popularity due to increasing environmental concerns. The wastes from these bio-based materials emit approximately 50% less carbon dioxide as compared to conventional plastics. Furthermore, bio-based polyethylene terephthalate is a widely used as a material in the packaging textile and automotive industry. Fluctuating oil prices and awareness regarding the growing GHG emission are the major factors propelling the growth of the bio-based PET market. Further, bio-based PET is highly resistant to heat which in turn, is acting a major factor for high demand from the packaging industry. However, most of the bio-based PET produce currently, contains 30% monoethylene glycol which is made from sugar molasses with the rest made from petroleum- based purified terephthalic acid (PTA). The replacement of PTA with a bio-based content is expected to propel the growth of the bio based PET market significantly, as this will eliminate the dependency on oil-based products. Several leading players operating in the global bio-based PET market are focusing on the production of 100% bio based PET. For instance, in 2017, Nestle S.A. and Groupe Danone S.A. had started working with the Origin Materials based in West Sacramento, California for commercial- scale production of containers made of 100 percent bio-based PET. Asia Pacific dominated the Bio Based PET market in 2016 and is expected to retain market dominance throughout the forecast period. Further, Asia Pacific is also expected to witness the fastest growth during the forecast period. This is attributed to the increasing concerns about GHG emissions. According to the Asian Development Bank (ADB), without any climate policy interventions, South Asia would become increasingly carbon intensive by 2030. Furthermore, bio-based PET is a lightweight material and thereby, its transportation cost is low. These are some of the key factors largely supporting the growth of the Bio-Based PET market in Asia Pacific. Stakeholders would greatly benefit in decision-making through the various strategy matrices used in analyzing the bio-based polyethylene terephthalate market. * Browse 150 market data tables* and 90 figures* on "Bio-Based Polyethylene Terephthalate Market” - Global forecast to 2025.